← Barnes & Noble Glendora, CA signing – Sat. May 20 at 2pm! 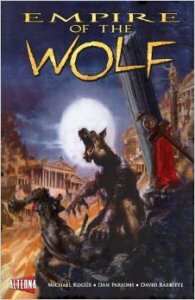 Barnes & Noble/Bookstar in Studio City, CA is hosting writer Michael Kogge to sign copies of the graphic novel Empire of the Wolf on Saturday, July 15, at 1pm. This entry was posted in Signings. Bookmark the permalink.